Saolta University Healthcare Group, in association with Cancer Care West and the Irish Cancer Society, is holding a series of free information and support sessions for men who have been treated for prostate cancer. The evening series will commence on April 26 with further dates to be announced. This event has been organised by Rachael Dalton, CNS; Fionnuala Creighton, Daffodil nurse; and Helen Greally of Cancer Care West. Rachael is a clinical nurse specialist in prostate cancer survivorship who provides care, advice, support, and education for patients with prostate cancer. Fionnuala is an oncology specialist nurse working in the Daffodil Centre in UHG providing cancer information and support for people affected by cancer. The Daffodil Centre is a drop-in service based in the main foyer of UHG. Dr Helen Greally is the director of psychology and support services in Cancer Care West - the charity that offers support and residential services to anyone affected by cancer. All services are confidential, free of charge, and are delivered by cancer support specialists, including psychologists and oncology nurses. 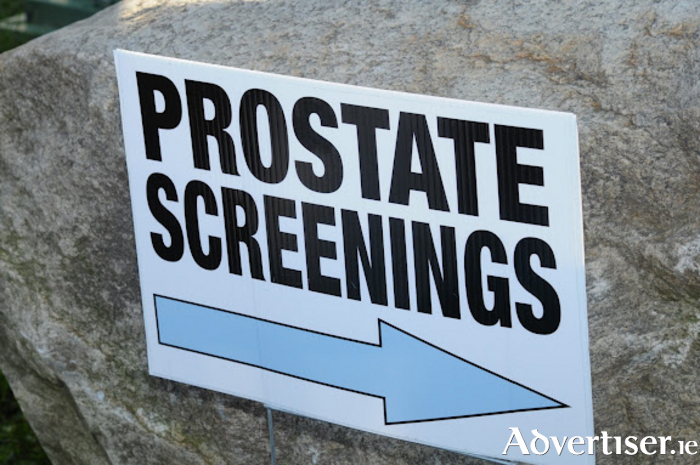 This information and support series is aimed at men who have been diagnosed with prostate cancer, who are going through treatment, and who have been diagnosed and treated for prostate cancer in the past. The purpose of the evening is to provide information relating to the possible treatment, related side effects, and management. Men will also have an opportunity to talk to others about their experience, should they wish to do so. Dr Mary Rogan, a GP and sexual medicine specialist, will be in attendance for the first evening. She will speak to the group on sexual issues after prostate cancer. The first information and support series will commence on April 26 from 7pm to 9pm at Cancer Care West, Newcastle, Galway. Men and their partners are welcome. The event is free and parking is available. To book a place contact Rachael Dalton, Clinical Nurse Specialist, on [email protected] or telephone (091 ) 893318. Alternatively, call Fionnuala Creighton on (091 ) 893489 or Cancer Care West on (091 ) 540040. Page generated in 0.0861 seconds.